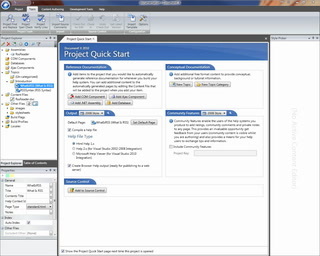 The Project Quality Tools included in HelpStudio allow you to quickly and easily ensure that your procedures, documentation and help systems are free of common quality issues such as spelling mistakes, broken links unused images etc. Find and Replace text or Html across the whole project. 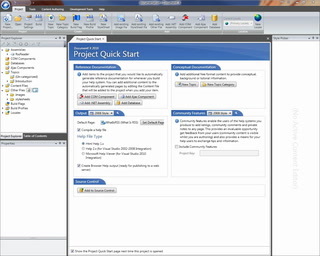 Search in Topic Content, Table of Contents, Glossary, Topic Titles, Keywords, See Also Links and Project Properties. Find and Replace can also be used in individual topics. Use Regular Expressions for powerful find and replace functionality. Ensuring that all the hyperlinks and See Also links used within your project is key to delivering a quality help system. The HelpStudio Link Verifier makes this quick and simple. Each suspect link can be easily edited directly from the results list. Check the spelling of the entire project with a single click. Terms can be easily added to a project specific Ignore list, or added to the global custom dictionary. Over time you may find that your project contains images that are no longer used in the content are are therefore unnecessarily increasing the size of your help system. HelpStudio makes it easy to identify unused images by simply running the Unused Images tool. A list of unused images is presented from which you can remove the images from the project with one click. If your application already has a .h file containing help context IDs (i.e. if you are developing in Delphi or C++), the integrated Context ID Mapper tool can be used to relate topics to elements of your applications user interface. If you prefer to approach context id mapping from the other direction by creating a .h file from your help system, HelpStudio can do that for you using the Create Context ID Header File tool.